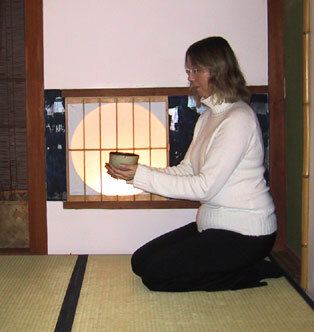 A couple of months ago, I was honored to participate in a Japanese Tea Ceremony at the Kaji Aso Studio in Boston. I was recently sent a link to a story that was done on the studio. It’s from the Chronicle news magazine show on a local Boston station. All of my creative moments this week have been spent beading my December journal page. It’s finally finished so I’ll be posting photos of “The Birth of the Sun” this weekend. 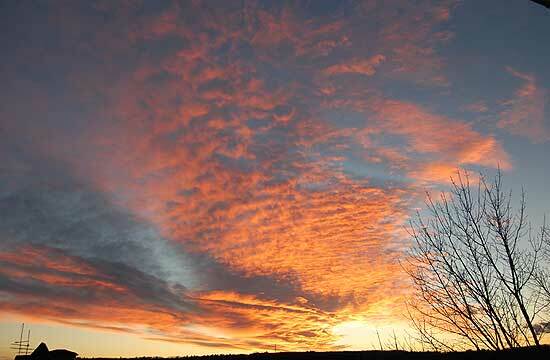 When I took a break from my beading the other evening and looked out my window, I had to grab my camera. Mother Nature was painting again. This entry was posted in Color, Creativity, Nature, Photography, Tea, tea ceremony and tagged sunset, tea ceremony. That is wonderful that you were able to participate in a tea ceremony. I would love to do that one day. Best wishes. i participated in one tea ceremony in college. i loved the ritual of it. and what a gorgeous sunset!! Hi Leah, I know what you mean about loving the ritual of the tea ceremony. I found that it really helped me focus on each wonderful moment as I was participating. Thanks, that sunset was so awe inspiring!